Do I Need a Prescription for Ventolin Inhalers? This is so that a doctor can ensure you are using the most appropriate medication for your asthma. Ventolin is used in asthma, as a reliever treatment. It is used on-demand to provide relief from symptoms of the condition, such as shortness of breath or wheezing. It is available as a dry powder inhaler (Accuhaler), a metered dose inhaler (Evohaler), a syrup, and as a solution administered via a nebuliser. All of these treatments are prescription-only medications (POMs). This means that a pharmacy cannot provide you with them unless your doctor has completed a prescription for you. If you have been diagnosed with asthma, your doctor, nurse or asthma specialist will organise an asthma action plan with you. The aim of this is to keep your asthma as well managed as possible. The plan will outline how and when you should take your medication. In the UK, all asthma patients receive a prescription for reliever medication such as Ventolin. Most asthmatics use a reliever inhaler which is often referred to as a blue inhaler. Ventolin Accuhaler and Evohaler both fall into this category. However it’s important to remember that the colour of inhalers can vary and you should not solely rely on colour to identify the medication you are using. How can I get a prescription for Ventolin? There are several ways; it depends whether you are starting treatment, or are already taking it. If you aren’t taking Ventolin already, your consultant or asthma specialist will usually decide on the most appropriate reliever inhaler during your regular asthma review. This may not necessarily be Ventolin; there are numerous different asthma reliever medications available. Your doctor can also issue a prescription for Ventolin at a face-to-face appointment, and renew your prescription for it. If your asthma is well managed they may issue your Ventolin medication as a repeat item. This means that you do not necessarily have to see your doctor in order to obtain a new prescription each time you need it; instead you can simply request more of the treatment when you are running low. Most GP surgeries allow for online (EPS) or telephone repeat prescription requests; however, in rare cases, they may still require a paper request form to be handed in at their reception. You should confirm the repeat prescription process in place at your own GP surgery. It is important to bear in mind that it can take more than 48 hours to process a prescription request. When on a repeat prescription, you will still need to have a regular asthma review with your doctor, nurse or asthma specialist. At this review, they will discuss your treatment plan and symptoms with you, and advise on any adjustments should they be required. If you are experiencing increased asthma symptoms or a change in your condition, it’s better to make an appointment with your doctor or specialist for advice (instead of simply ordering your repeat prescription and continuing on the same regime). Can I get Ventolin without seeing a doctor? Because it is prescription only, you will need to consult with a doctor or registered prescriber before Ventolin can be supplied. As previously mentioned, you can see your own NHS GP or respiratory nurse to get a prescription. You can also consult with a doctor or prescriber privately, either in person or through an online consultation service such as ours, to have a prescription for Ventolin renewed. This might be through a video consultation, or through completion of a doctor-reviewed questionnaire. So it may not always be necessary to physically see a doctor in person to get your prescription for Ventolin. However, a doctor will have to review your case, be it in person or remotely, before issuing it. The electronic prescription service (or EPS) is a free NHS service which can help asthma patients organise their repeat prescription. It is currently being rolled out across the UK. If your GP prescribes your asthma treatment on a repeat prescription basis, then it may be possible for the practice to electronically send the prescription to a pharmacy of your choice. This means that you do not need to see your doctor every time you need a new reliever inhaler. But as already mentioned above, your doctor or respiratory nurse will still want to see you on (at least) an annual basis to review your condition, and to check that your Ventolin treatment and any other medications are still effective. Where can I purchase Ventolin? Once you have a prescription for Ventolin you can have it fulfilled at any pharmacy. If you purchase it from a pharmacy with an NHS prescription, you will pay the standard levy. If you are entitled to free treatment on the NHS, you won’t have to pay anything. Private pharmacies also offer Ventolin to buy. Some online pharmacies, such as ours, provide a doctor consultation facility, where you can have your prescription renewed by a doctor, and then dispensed at a UK pharmacy and delivered to you. When you use online services, you will still be required to answer several questions about your general health. When you order asthma inhalers using our UK service, it is our policy to inform your GP that you are ordering treatment online, so that they are kept up-to-date regarding your asthma care. Can I buy Ventolin without a prescription? No, as it is a prescription-only medicine. Consequently, you should be wary of any website or service that promises to supply you with a Ventolin inhaler without the need for a prescription. 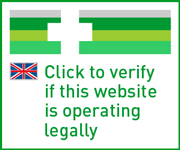 In the UK it is not possible to purchase Ventolin in any of its forms without a prescription; so the site may be functioning outside of the law. Rules on providing asthma treatments such as Ventolin may be different outside the UK and EU. However, even if this is the case, it is important that you follow your asthma action plan as outlined by your doctor or specialist, and only get your inhaler(s) from GPhC regulated pharmacies. If you are planning a holiday or a period of time abroad, make sure that you speak to your doctor so that you have a sufficient amount of medication to take with you.